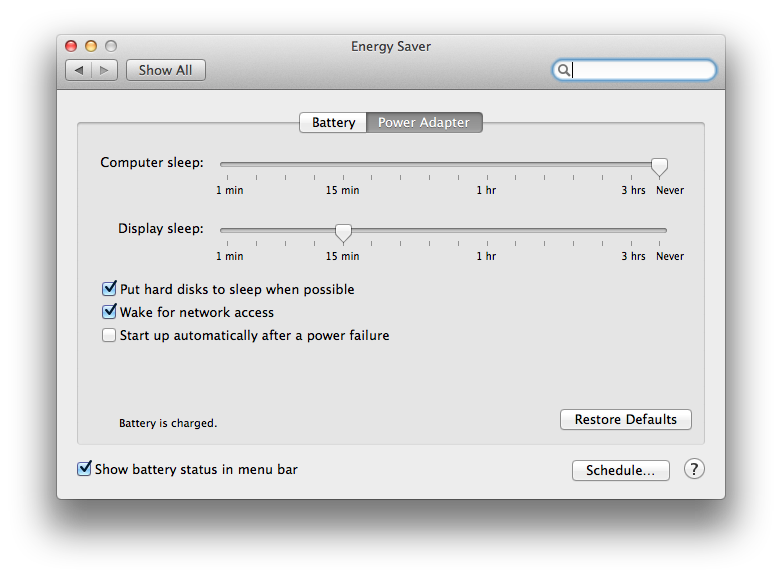 Go to the Apple menu, select System Preferences, then click on Energy Saver. You’ll see one of two images. If your Mac has a Haswell processor then you’ll see the second image below. Skip to Haswell Instructions below. If your Mac does not have a Haswell processor then you’ll see the first image below. In this case continue with Step 3. If you have a laptop make sure you click the Power Adapter button. Desktop Macs don’t have this choice. Slide the slider next to “Computer sleep” to Never. Slide the slider next to “Display sleep” to 15 minutes or whatever interval you’d like. The other settings don’t matter for remote access and the specific options you see could vary slightly. Check the box named Prevent computer from sleeping automatically if display is off. The slider for turning off the Display can be set to 15 minutes or whatever you’d like. 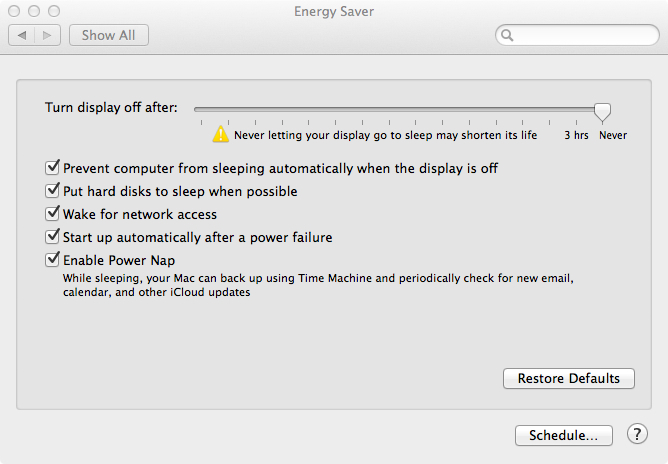 Read more about configure, energy saver, instructions, Mac OS X, sleep.